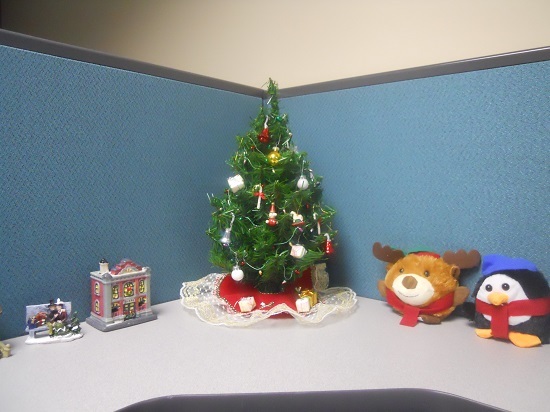 I decorated my desk at work, which is unusual. In terms of personal living space, I prefer things simple and often unadorned. Truthfully, I am just not very cognizant of the arrangement of objects around me and how they look next to each other. I don’t like giving myself more to clean and organize. I am quick to discard anything that isn’t a book or things to write with. I wonder if this is a common trait among extreme introverts; if we’re more likely to prefer organizing what’s jumbled up inside our heads and neglect what’s obviously right in front of us in the real world. At the end of November, I went to the Miami Book Fair again with Melissa. This year, I was there primarily for Ocean Vuong‘s poetry reading. It was very emotional and I was awestruck. People were fanning themselves, and not just because of the unrelenting heat. Poetry is alive and quite well, I am happy to report. You just need to look for it. He read this beautiful poem that was published in Poetry. You should listen to it too. I cannot wait to get my hands on his debut full-length collection. Unfortunately, we’ll have to wait until 2016. I had a very short story published in this month’s issue of Maudlin House: read it here. I was determined to send them something right when I first learned their name. Oh, and there’s the writing and beautiful design, of course. Since it’s almost the end of the year, I’ll be posting some kind of best-of collage and vague resolutions soon. I reached my Goodreads goal! Fifty books read, which is pretty good for me. Poetry, short story collections, graphic novels, essays, huge tomes. Very eclectic. I also have my first ever memory jar that I’ll be able to open and spill out and show you what I collected throughout the year. Stay tuned. In the meantime, go and read the “A Year in Reading” series over at the Millions.